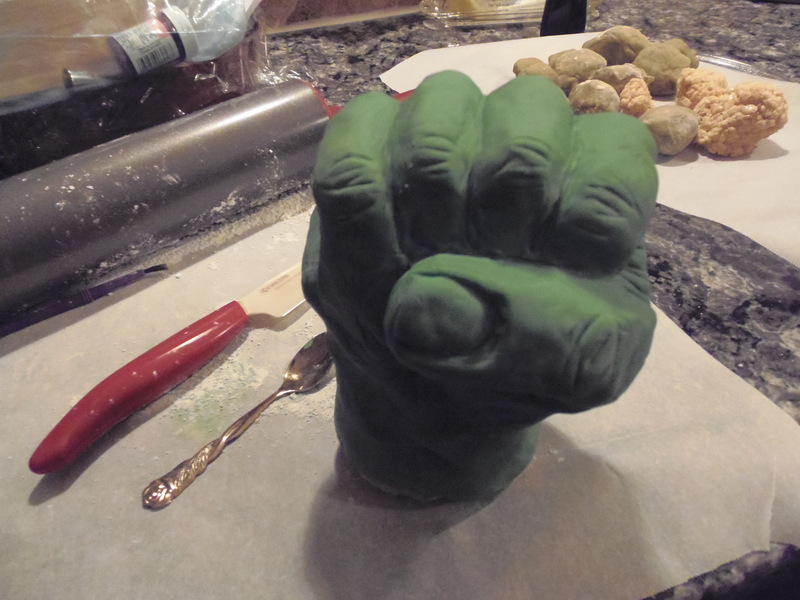 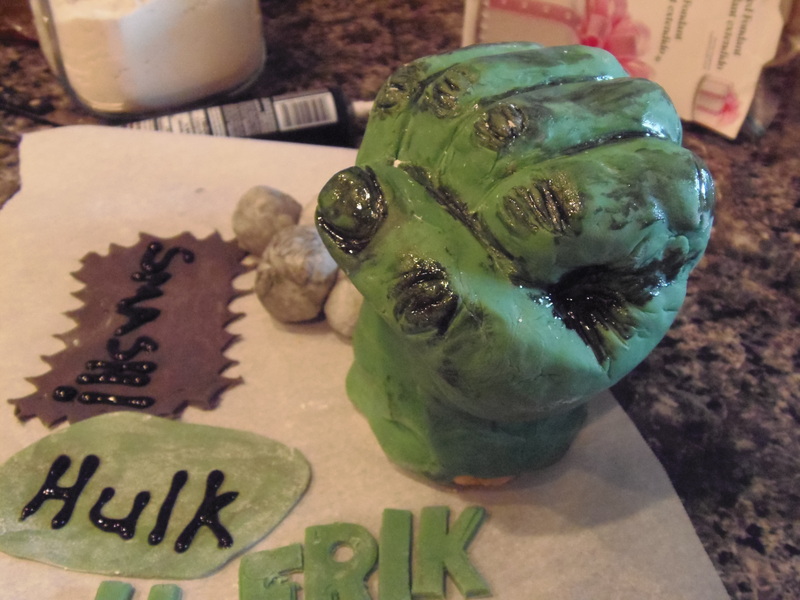 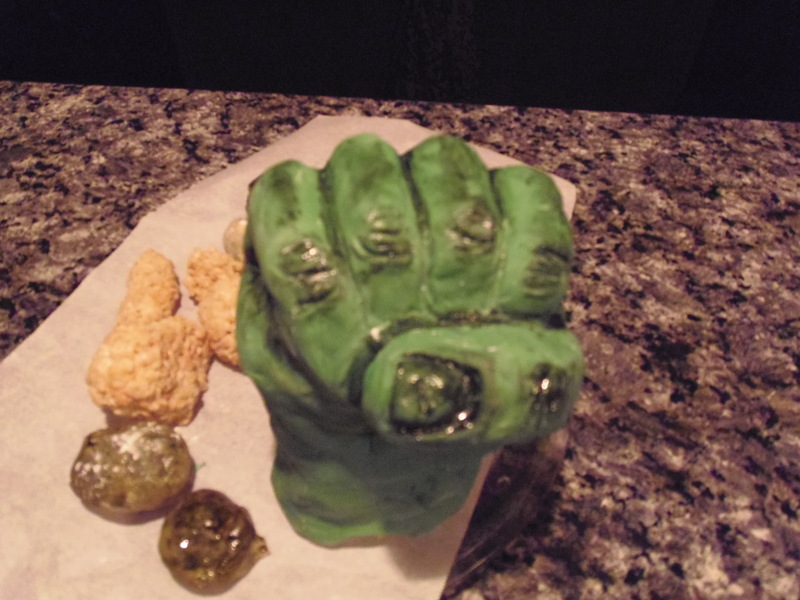 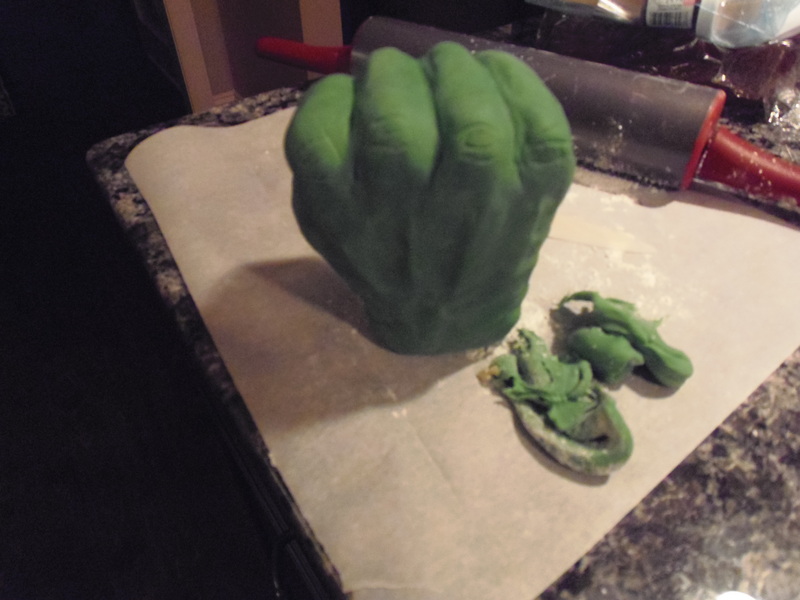 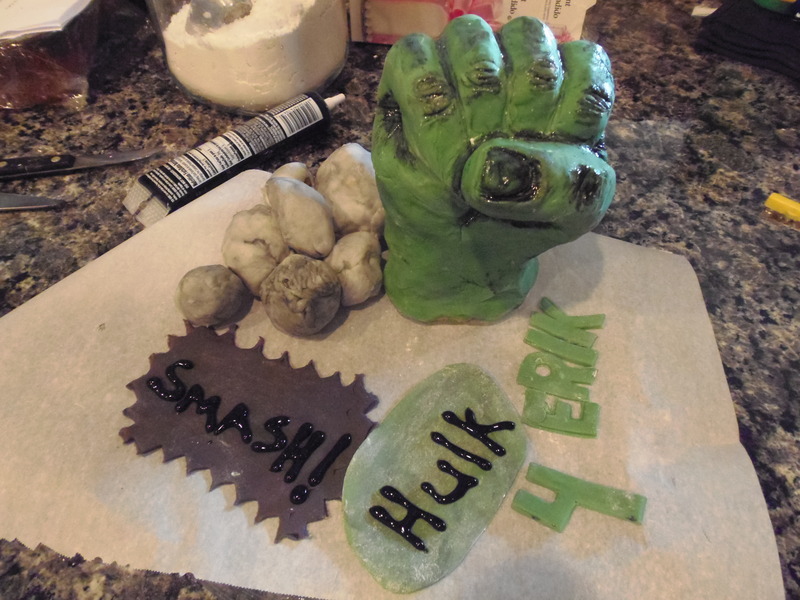 As I mentioned in my previous post that there is a birthday cake that needs to be completed this weekend, I have started creating the components to the “Hulk Smash Cake”. 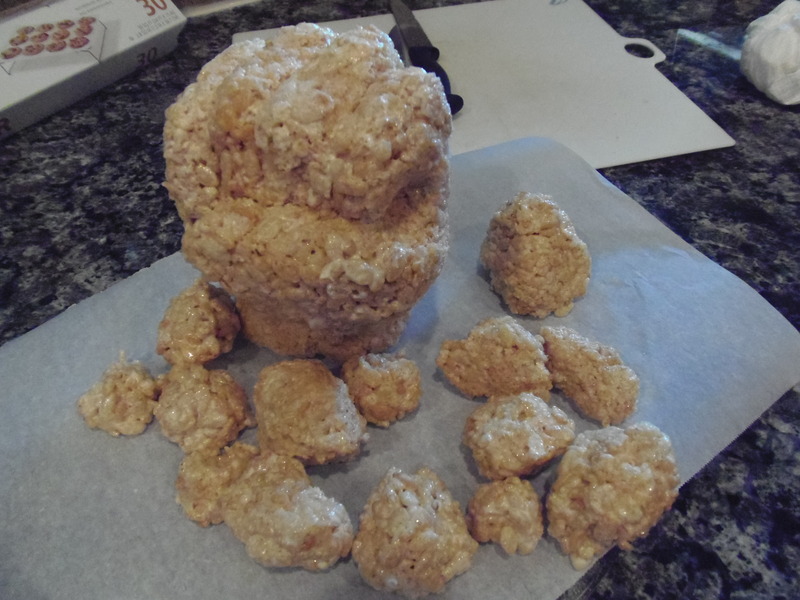 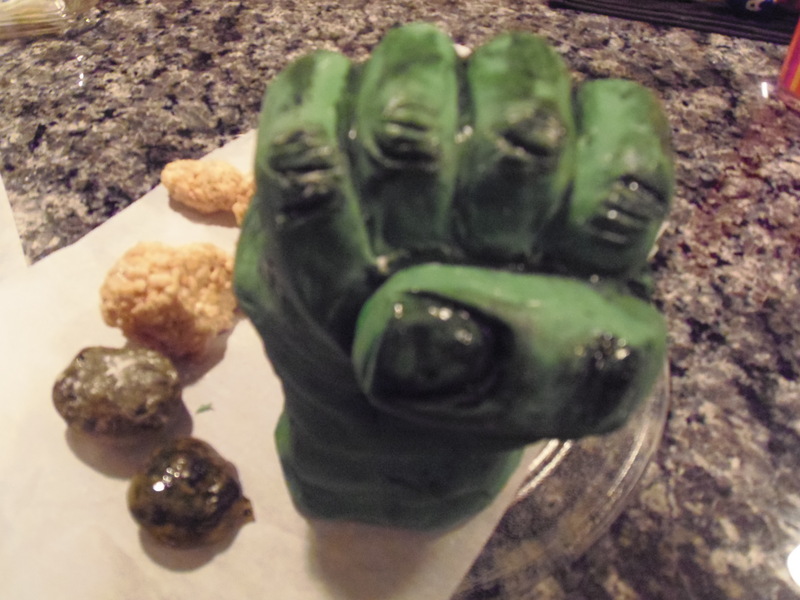 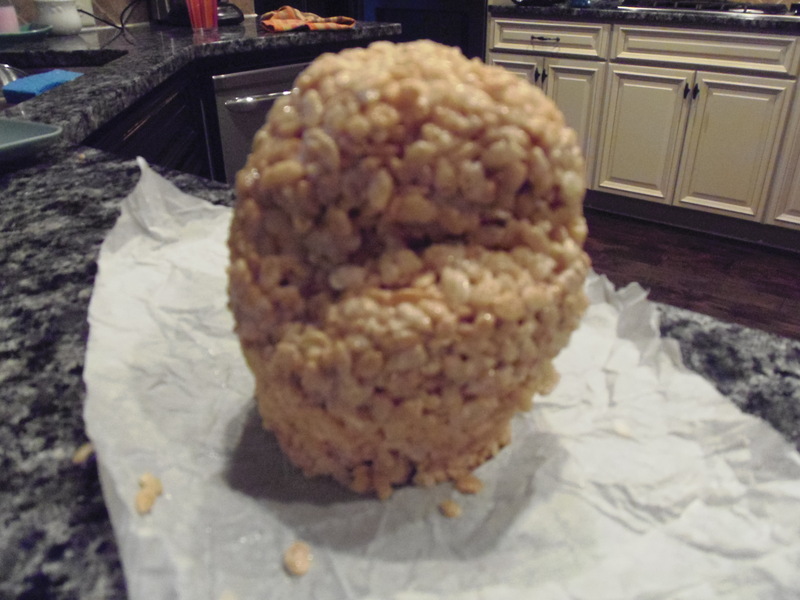 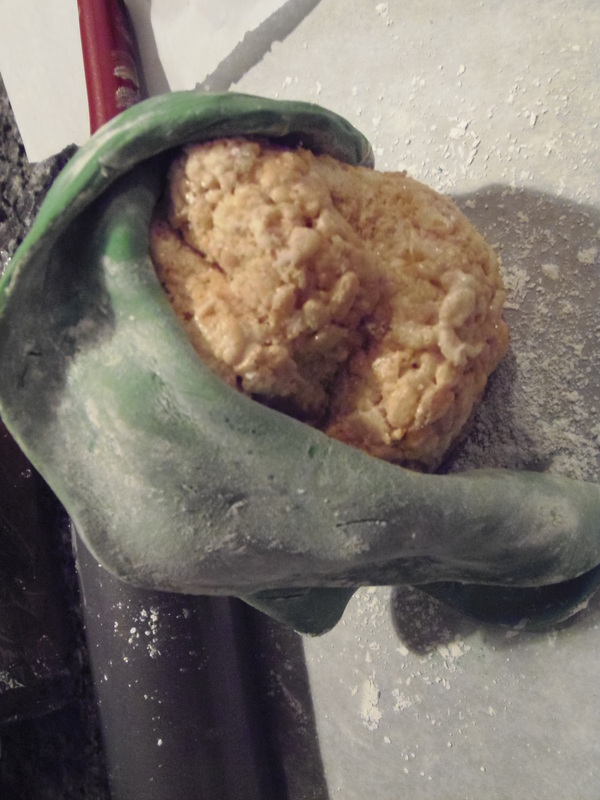 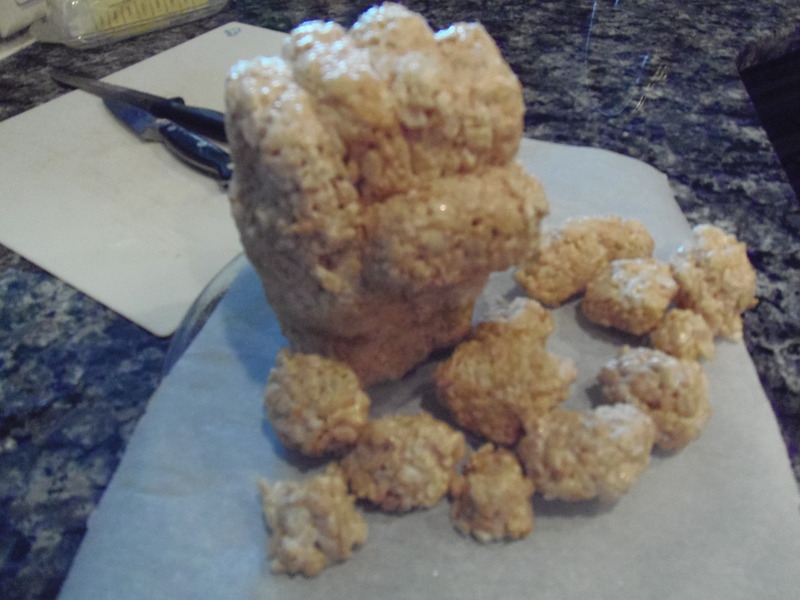 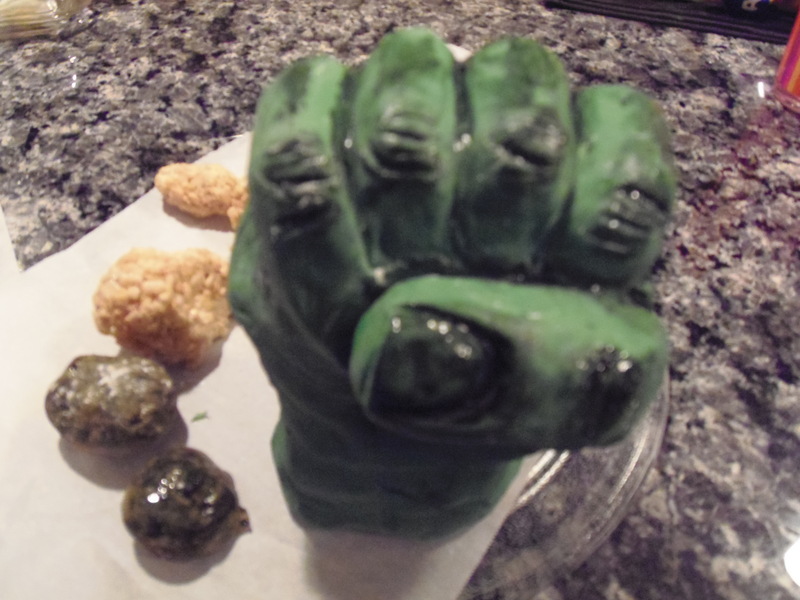 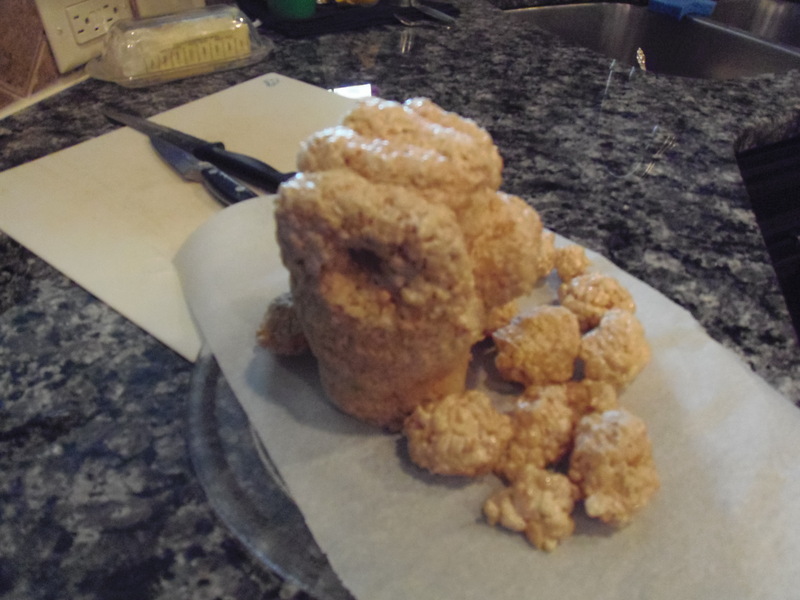 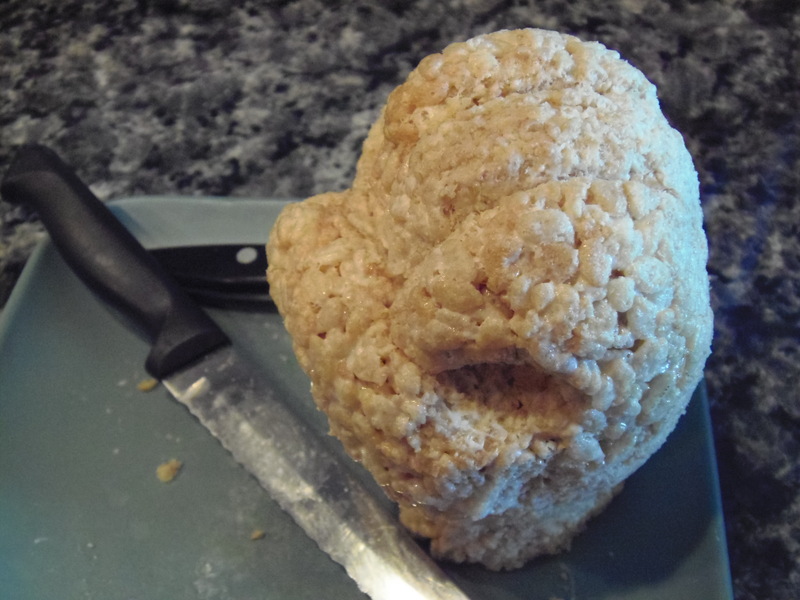 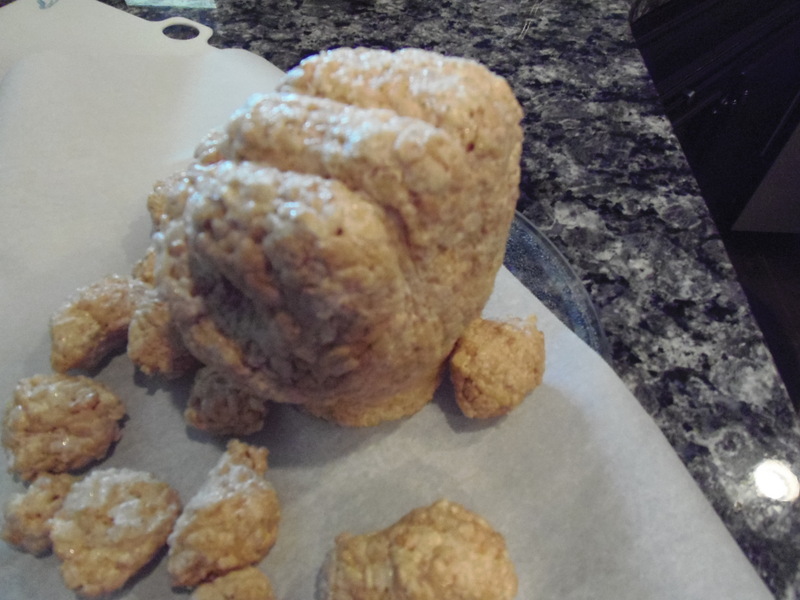 I used the rice crispy treat recipe to create the rocks and hand and they have been covered in fondant, see below. 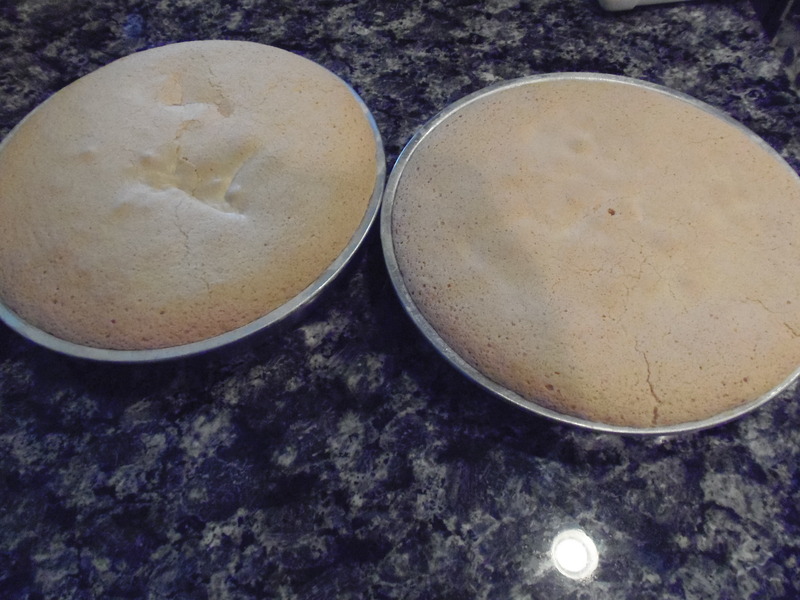 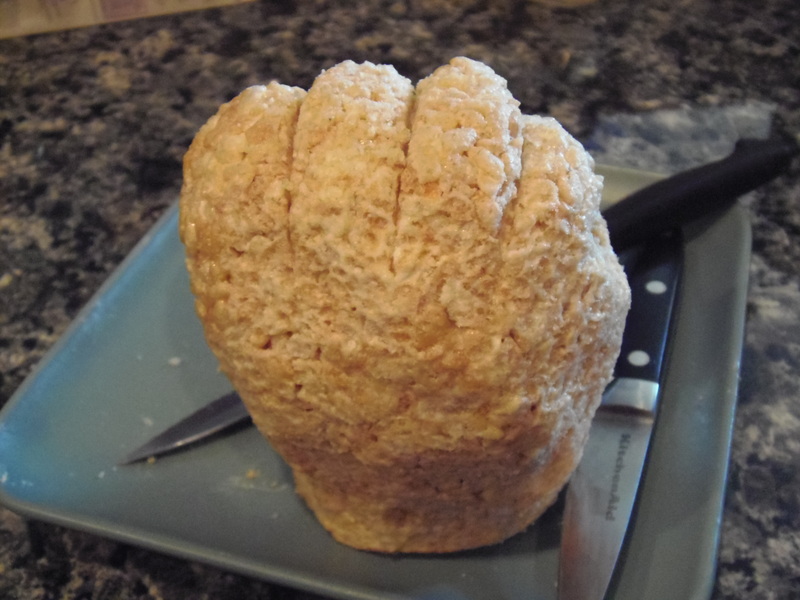 Here’s a pic of the Italian Sponge Cake, smells awesome….